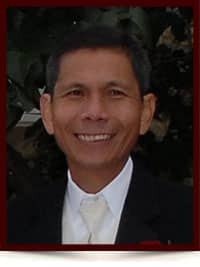 Leo Cudal Fernandez Sr. - Edmonton's Burial & Cremation Professionals | Trinity Funeral Home Ltd.
On June 21, Leo Fernandez Sr. passed away at the age of 61. He leaves to mourn his loving wife of 38 years Lea; 3 children: Eric (Synah) Fernandez, Lichette (Jason) Connors and Leo Jr (Celine) Fernandez; five grandchildren: Shali, Rylan, Isbella, Eleesyah and Isidro James; three siblings: Nila Almaden, Lavro Fernandez and Lelia Espirirtu, as well as many close friends and extended family. Leo was predeceased by his parents: Anselmo and Priscilia Fernandez, as well as his two brothers Anselmo Jr. and Lucas Fernandez.